Mo Farah won two golds at the London 2012 Olympics and then four years later won them again in Rio. 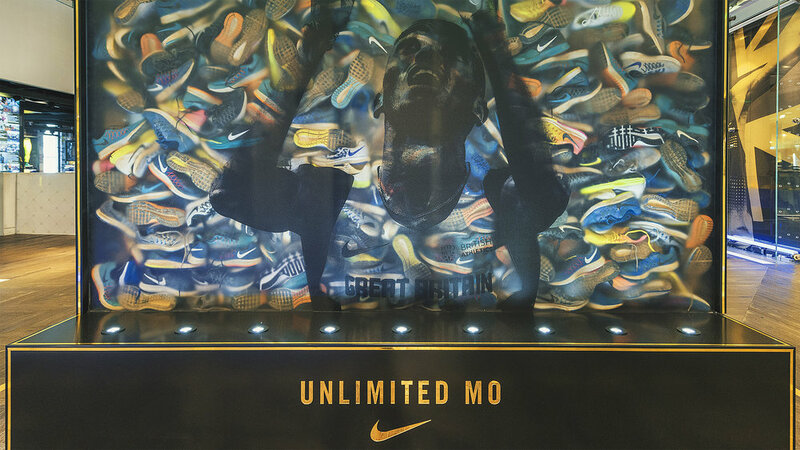 Nike wanted to celebrate his remarkable achievement. 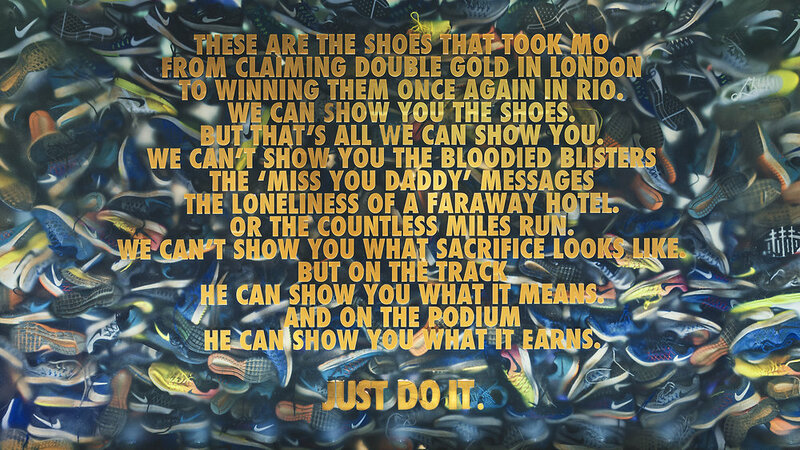 We discovered that when training between the two Olympics, Mo went through 205 pairs of running shoes. A pair a week, every week, for four years. Pretty amazing. 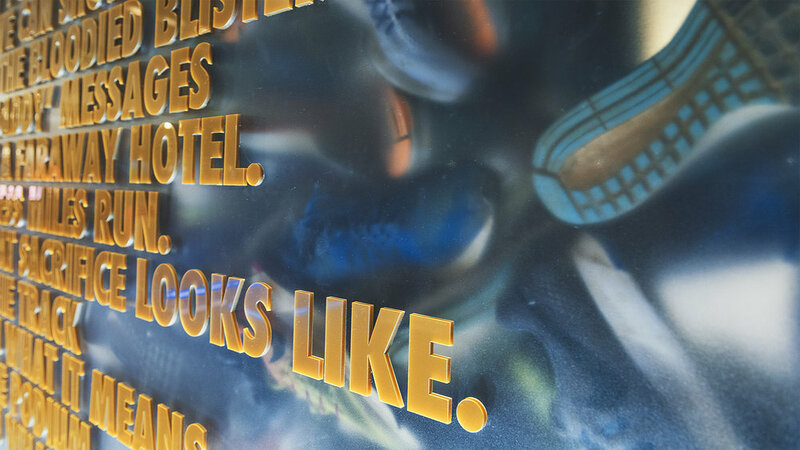 We wanted to show people literally what it takes to win double gold, so we created an installation with 205 pairs of Mo's Air Pegasus shoes and a manifesto piece on the topic of dedication and sacrifice. 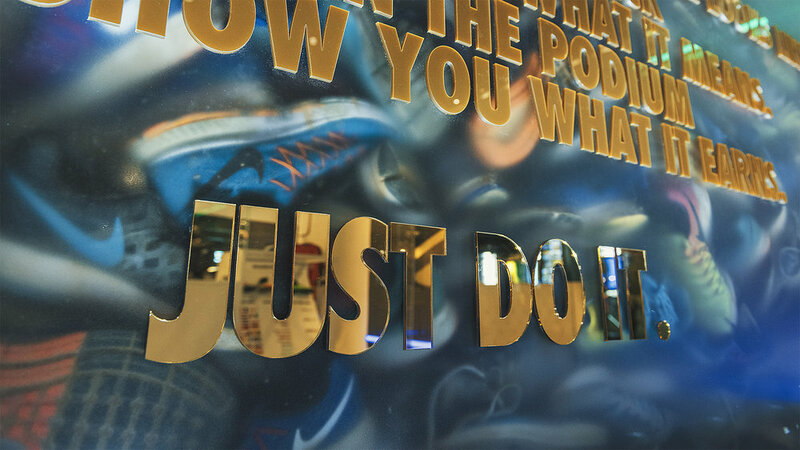 The installation was revealed in Niketown London before being gifted to the British Athletics Federation where it now takes permanent residence.